A WAD pack for Doom and Doom 2 conversions on the Wiz. 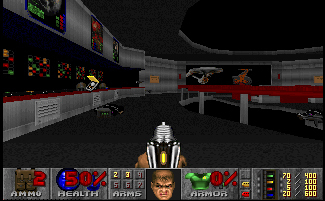 Prboom, doom1.wad, and/or doom2.wad are required files to get these Doom conversions working. Please read the included readme files so you know which files require doom1.wad and which files require doom2.wad. Basic installation instructions are included with each file as well. Some display icons for these conversions are available at the included website link. Bad news for Bond fans; the GoldenEye mod isn't complete. It stops 3/4 of the way through the Silo level. hey can someone have a video or something to know how to install this pack?